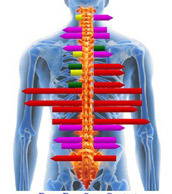 Dr. Hassig uses a number of highly-effective adjusting approaches to help improve spinal biomechanics and reduce nervous system interference. The approach we use is based on our clinical judgment and years of experience. Please contact our Mountain Brook office today at (205) 879-4046 to schedule your appointment!